Game of War – Fire Age is an empire management strategy game developed by Machine Zone Inc., which is available for quite some time for iOS and Android platforms. The game remains quite popular and regularly updated by its developer and it’s still free to play for everyone. 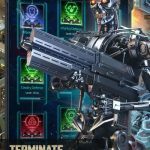 The game is described as the “most addictive, interactive action strategy RPG,” and Machine Zone makes no bones about describing Game of War’s multiplayer element, on top of the normal things you do in the game, such as building your own empire and building up a fearsome army. As this is quite an in-depth, sophisticated title, we shall now be bringing you this first part of our Game of War strategy guide. 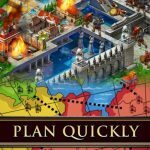 One thing you’ll typically have to do in an action strategy role-playing game like Game of War – Fire Age is to follow the quests. You should also do your part to complete them, as they guide you to the right path in the game. 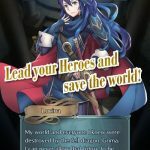 You’ll also be getting free upgrades, and will receive suggestions on which buildings to construct or upgrade, and on which troops to train. Above, we told you that Machine Zone is really big on the multiplayer element of Game of War. With that in mind, you’ll want to join an alliance, but not just any alliance – it has to have a lot of members, and it has to be as active as possible. Joining such alliances gives you more chances to win free gifts and allows you to get your buildings constructed faster. And it also helps to complete alliance quests, which would give you gold and loyalty points while strengthening your alliance. One of the free items you’ll get will let you teleport to any place just as long as your Stronghold hasn’t reached Level 5 yet. Use this item and teleport together with the rest of your alliance, so that you’ll have other players protecting you, especially in the early goings of the game. 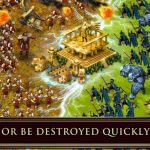 If you want to have a larger army to start off, we suggest not following what Game of War would suggest – instead of building just one barracks, try building three or more to ensure faster production of troops. More soldiers means more injuries, which is why it’s a sound move to build multiple hospitals, preferably as many hospitals as barracks. This would allow your troops to heal quicker without having to retrain. Once you have enough troops fighting for you, one of the first things you should do is occupy the resource fields you’ll see on the map. Some may be occupied, but others won’t be, and those are the ones you should go for first and foremost. You should also do this smartly, and concentrate on occupying fields corresponding to resources you don’t have enough of at the present.